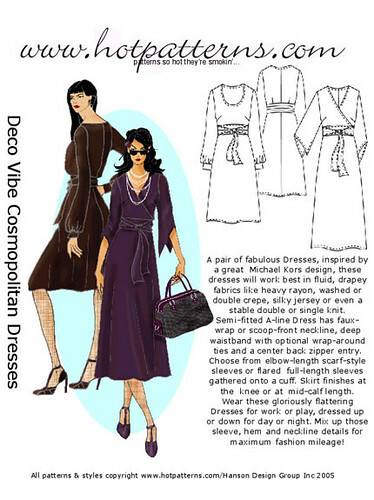 I just adore the Hot Patterns Deco Vibe Cosmopolitan Dress and have made it several times. The scarf-style shorter sleeve is especially nice because it is covered up yet still cool enough for our steamy South Florida weather. 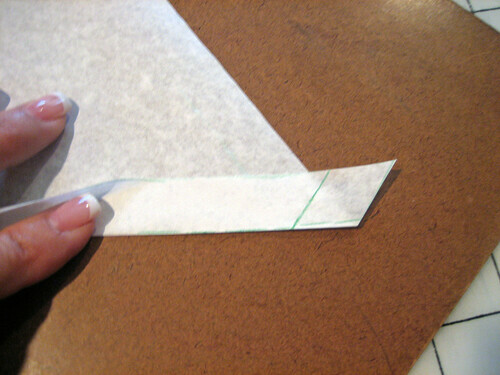 To achieve a really nice, neat finish on this type of sleeve it is necessary to miter the hem. This is extremely easy to do and, in my opinion, best worked out on the pattern before the garment is cut. Do this once and you’ll never have to think about it again! 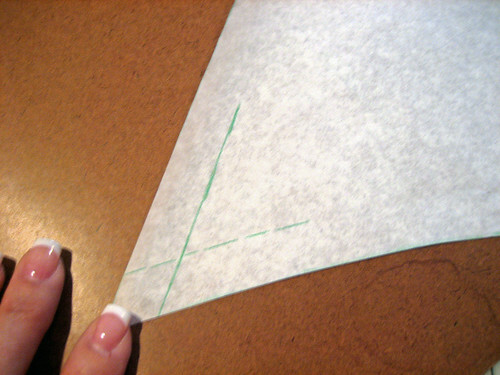 The first step is to mark the hemline at the bottom of the sleeve and on the slit – in this case, 5/8″. then the other. 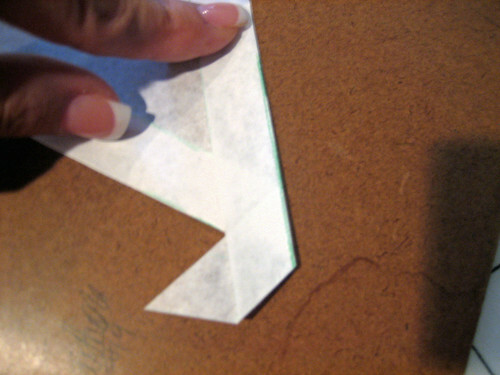 You can already see how much bulk you would need to deal with here if you were to not miter the hem. 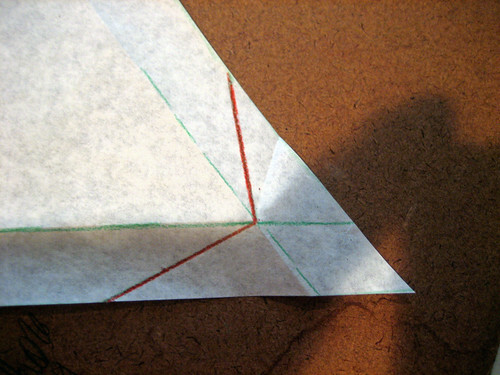 Draw a line from the point where the hems intersect to the foldline (point). Carefully lift the top layer and mark a dot at the intersection on the underlayer. 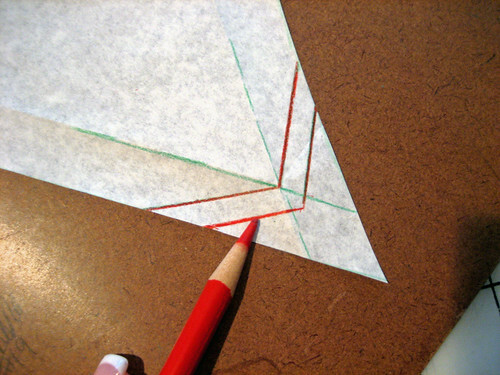 Here I have drawn both lines from hem intersection to foldline in red. These are the seamlines. 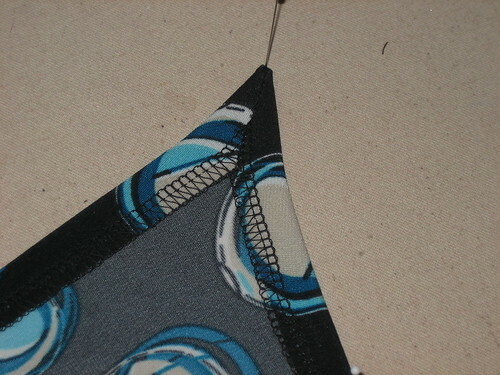 You will need to add a seam allowance – I have added 1/4″ here. Then trim off the excess beyond the seam allowance. 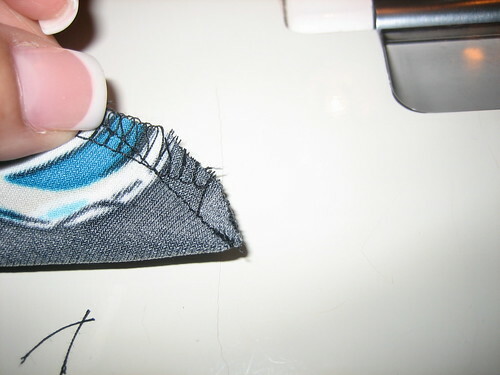 After finishing the hem edges as desired (I’ve just serged) simply line up these two edges and sew your 1/4″ seam. 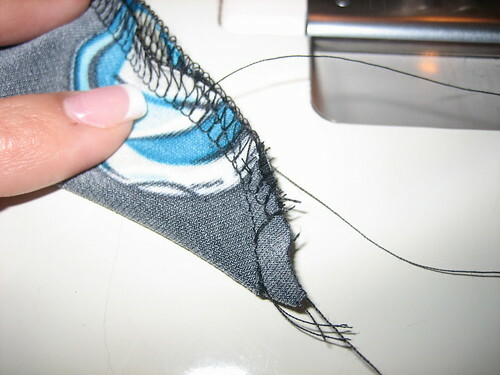 Trim away the bulk at the point – this is especially important on a very peaked hem such as this. Here is the finished miter, before pressing. 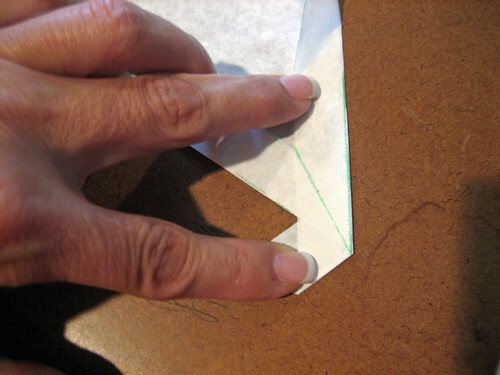 Your point presser comes in really handy for pressing the seam open before turning. If you don’t have one you can use your bamboo point turner. It’s neat, bulk-free and very easy to do! I’ll post a photo of the completed dress as soon as I finish up. My mother came for a visit last week, and she brought two suitcases of patterns that belonged to my grandmother Della Vestcyk. What a treasure trove! Most of them will end up on Ebay, although I did keep a handful. So for the next few days I’ll share with you the ones I kept, and when my mother begins to list them on Ebay I’ll make an announcement here on Sewing Divas. All of them are in bust sizes 34-36-38. 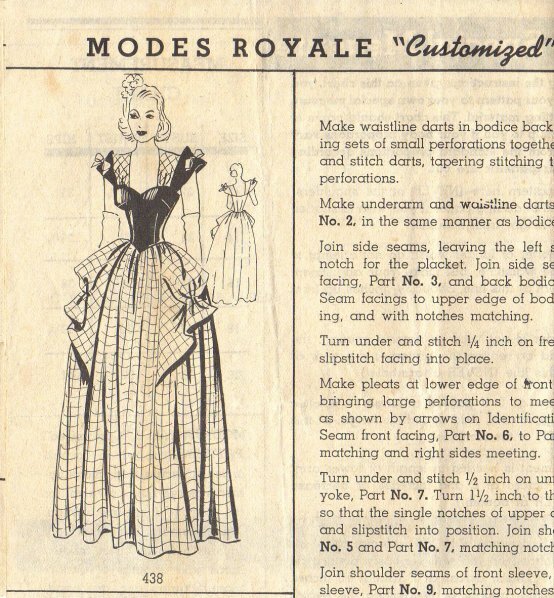 The collection spans the 1930’s to the 70’s and in addition to the Big 4 there are several smaller pattern companies, some I’ve seen before like Marian Martin and Parade, and others I’ve never heard of, such as Modes Royale and The Book of Fashion. This style was my mother’s high school graduation gown. 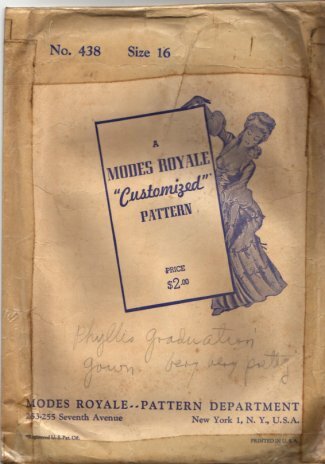 Modes Royale appears to have been a semi-custom pattern company, and notice the price on the envelope is $2.00 – a huge sum of money for a pattern when most of them were only $.25 apiece. 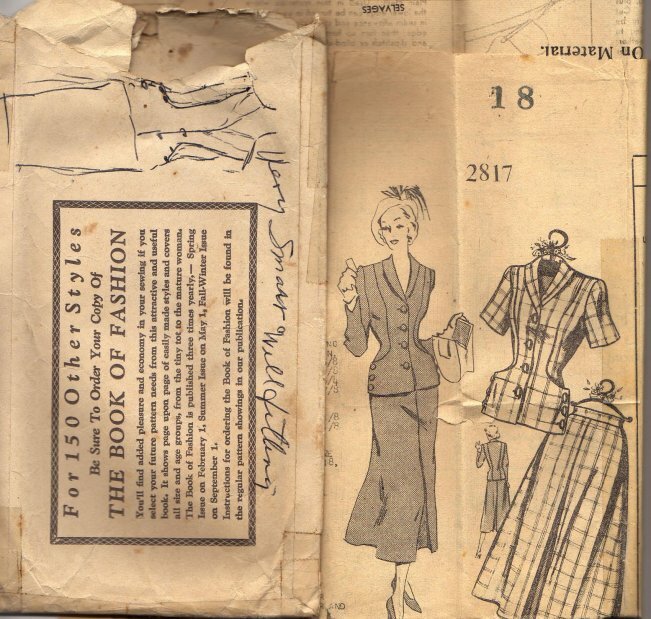 The envelope is really large, about the size of today’s Vogue Designer patterns. I doubt I’ll ever sew this one, but I had to have it because it was made for my mother, by my grandmother. I really love both of these; the details are so different. 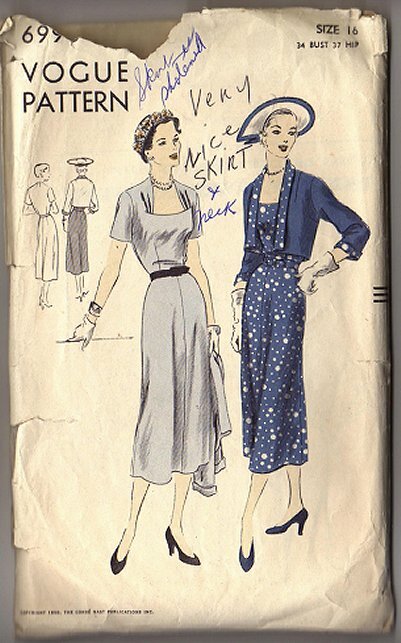 The one on the left is just about my ideal summer dress, I think it would look great in seersucker or madras plaid, and the style on the right would look great in red or pumpkin wool crepe for the fall and winter. 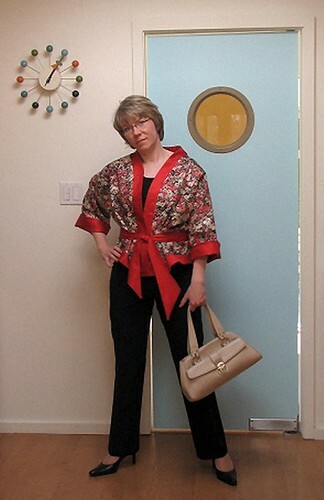 This jacket reminds me of Vogue 7908, a modern Claire Shaeffer pattern. 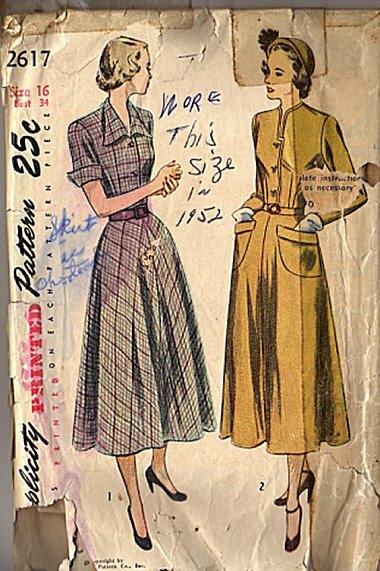 The side hip buttons are very cool and the jacket and blouse version would also look great and very modern with wide leg pants. This one has a copyright date, which is missing from most of the collection. I love this so much I’m tempted to see if Vogue would be interested in adding it to the Vintage Vogue collection. This is one of those styles that is timeless and universally flattering to just about everyone. 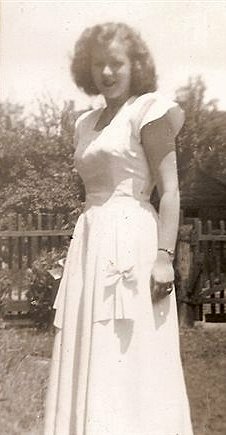 In addition to being a lovely summer dress, the bodice could also be made in white and the skirt in black for a faux skirt & blouse look. 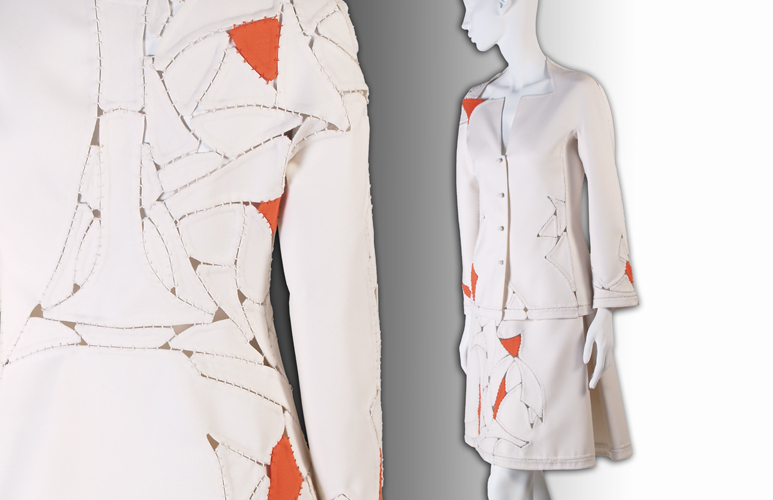 Add the jacket in the same fabric as the skirt and you have a very Chanel-like look from her 1953 comeback collection. The Elusive Birkin? Not So Much. Today’s Boston Globe has a very amusing story about the Birkin, a handbag whose legendary exclusiveness is firmly quashed in the story. And if you like Posh’s Roland Mouret dress Burda WOF did a pretty good knock-off. Erica’s version is really hot! Today I was meeeting a friend for lunch and wore my Hot Patterns Geisha Girl Jacket. 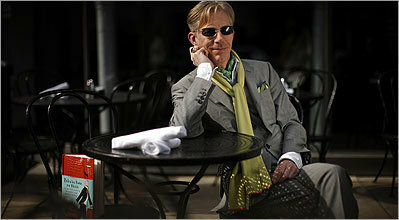 Man, sewing blogs and forums are on fire over the two Chado Ralph Rucci patterns added by Vogue last week! I got mine yesterday, and the instruction sheet reveals this pattern to be even more interesting than I imagined. The embellishment is beautiful, and it’s typical Rucci; he has often used self-fabric braid and bullion stitches in his couture collections. 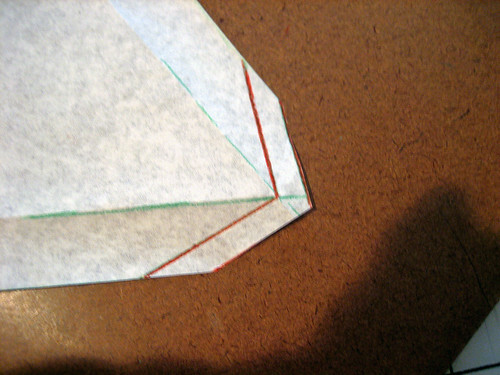 In the example above bullions are used to connect the irregular pattern pieces. On Vogue 1048 bullion stitches attach the braid to the hem of the dress; and I can say from experience that this is a stitch you should definitely practice in a hoop before you try it free hand. It’s considered an advanced hand embroidery stitch, and like all hand embroidery sucess relies on thread tension and consistency. Also, on a technical note, a bullion stitch is impossible to do neatly with anything other than a milliner needle. Milliner needles have very small eyes and are the same diameter all along the length; they don’t taper much at the point. They are hard to thread, so I always use a threader. Milliners come in different sizes, a thicker one will make a fatter bullion. The small eye makes it much easier to pull the wrapped threads off of the needle and onto the inner supporting thread when forming the bullion, and you should make the exact same number of wraps for each bullion. Here’s a link to a bullion stitch tutorial that is much more thorough than the one in the pattern instructions. You’ll see how to form the stitch correctly, and there are examples of bullion stitches done incorrectly. However there is one glaring mistake to note: the wrong type of needle is shown in the tutorial! They show a tapestry needle (note the long and wide eye) – trust me, if you try to use a tapestry needle, or any needle other than a milliner for a bullion you won’t be able to pull the thread wraps off the needle. I have one other major disagreement with the instruction sheet, which implies that buttonhole twist is a good thread for bullions. It’s fine to use that for the topstiching, but the best looking bullions are made from a single strand, non-divisible thread such as floche. Regular six strand floss can be substituted, but use three strands instead of six. Nordic Needle is a good source for floche and milliner needles. I’m still thinking about how my version will look; I think this dress in a dark wash denim with jute topstitching, ball buttons and braid would be great. Rucci rarely uses prints, but I can see this in seersucker with white topstitching, ball buttons and braid (Ann has a great green and white seersucker on Gorgeous Fabrics). Rattail cord has a shiney surface so there I’d stick with a polished cotton or a linen for contrast and tone-on-tone color between the embellishment and the fashion fabric. This design is really beautiful and I hope it’s a sign that Vogue has finally got their mojo back for the designer pattern collection.